Because there are so many amazing images the public voting in the Small-in-the-Frame Category of the BIRDS AS ART 2nd International Bird Photography Competition has been extended an additional day to give everyone an opportunity to vote. Click on the image to get a better idea of the great images in this category. 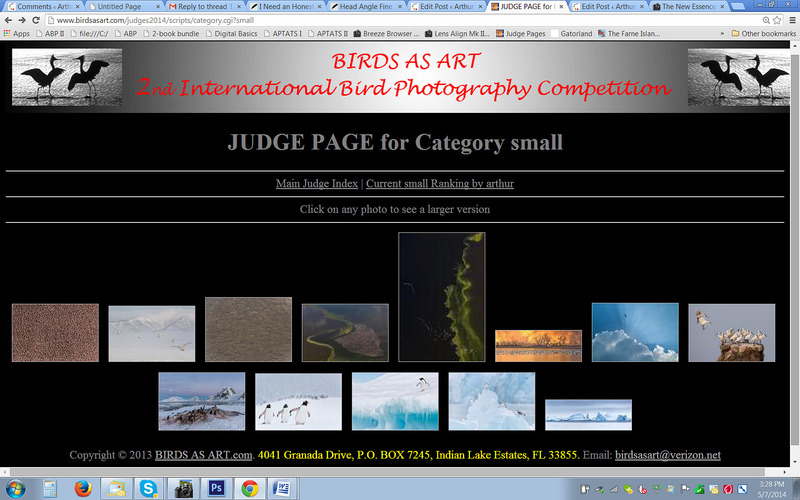 Join in the fun by voting on the Small-in-the-Frame Category of the BIRDS AS ART 2nd International Bird Photography Competition here. While the public vote has been very close to the results of the judge’s voting and the actual order of finish the opinions in this category so far have been all over the place. There are so many strong images that choosing your favorite five might just be impossible. Do take a peek. You have until early Friday morning to vote if you have not done so already. This post marks 159 consecutive days with a new educational blog post. With so many folks getting in the habit of using our B&H links and our Amazon logo-links why quit now? April was a record month! To show your appreciation for my efforts here, we do ask that you use our the B&H and Amazon affiliate links on the right side of the blog for all of your purchases. Please check the availability of all photographic accessories in the BIRDS AS ART Online Store, especially Gitzo tripods, Wimberley tripod heads, and the like. We sell only what I used, tested, and can depend on. We will not sell you junk. We know the tools that you need to make creating great images easy and fun. And we are always glad to answer your gear questions via e-mail. This image was created at the St. Augustine Alligator Farm on Tuesday May 6, 2014 at 8:17am in early morning sunlight. I used the Gitzo 3532 LS carbon fiber tripod, the Mongoose M3.6 head, the Canon EF 600mm f/4L IS II USM lens, the Canon Extender EF 2X III, and the Canon EOS-1D X. ISO 800. Evaluative metering +1 stop as framed: 1/250 sec. at f/9 in Av mode. AWB. Central Sensor/AI Servo-Expand/Rear Focus AF as framed active at the moment of exposure. Learn everything there is to know about the 1D X and 5D III AF systems including how to manage the various AF Area Selection Modes, when to use which one, and several ways to move the AF sensor around in the 1D X AF Guide and the 5D Mark III User’s Guide. Click here to see the latest version of the Rear Focus Tutorial. Click on the image to see a larger version. . Fill flash with Better Beamer at -2 stops in ETTL. Canon Speedlite 600EX-RT with the Canon CP-E4 Compact Battery Pack for faster re-charging times. Wimberley F-1 Flash Bracket with the Canon OC-E3 Off Camera Shoe Cord 3. It has been years since I visited the St. Augustine Alligator Farm. As one would expect, a lot has changed. Over the years the management team–led by director John Brueggen–has removed extensive stands of non-native vegetation. To provide nesting habitat they have planted numerous Bald Cypress trees, Eldeberries, and Wax Myrtles. Overall the habitat has been thinned out; much of the vegetation adjacent to the boardwalk was non-native. Numbers of nesting Wood Storks have increased as this species has moved into several new and previously unoccupied areas of the Farm. Great Egrets are thriving as well with many dozens of successful nests with chicks of sizes various ranging from tiny to almost fledged. During our visit we witnessed but did not get to photograph the demise of several small Great Egret chicks. The runts of each litter are often attacked and driven into the water by their older siblings, Survival of the fittest for sure. As before there are many breeding pairs of Snowy Egret and Tricolored Heron along with a smattering of Little Blue Herons. Cattle Egret numbers seem to be down. My impression is that the nests of the smaller species are a bit more difficult to photograph than they were 5-10 years ago. As with all rookery photography the good photographers can spot the few good situations but most folks simply do not understand that they need to work on sun angle on clear days and they have no clue when it comes to finding the best perspective. For clean shots of the smaller nesting species the edge this year goes to Gatorland. But as has always been the case, St. Augustine rules by a mile when it comes to good flight photography. 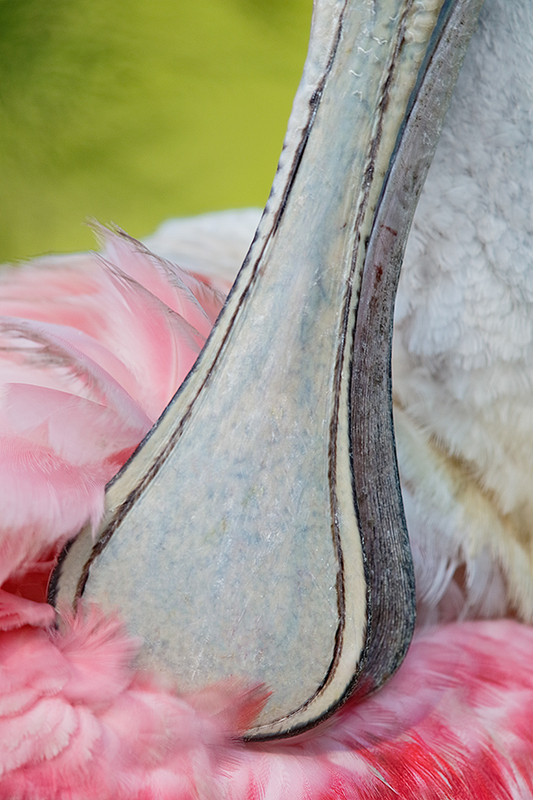 The biggest change at St. Augustine is that Roseate Spoonbill, surely one of if not the most desirable avian species in the state of Florida, is now an established breeder. There are dozens of nests with young of all sizes ranging from hatched yesterday to nearly fledged. There are several pairs still building nests. Photographing the nests with young is a nearly impossible task. There was one nest with four small chicks that offered great promise–low with a clean line of sight for one photographer. A pair of Snowy Egrets chose to set up a nest right in the only available photographic slot. So ixnay on that one. Discouraged? No need. Competent photographer can take advantage of the pair that is building a nest on the left side of the boardwalk in early morning light. They offer great opportunities for creating extreme close-ups as they are totally oblivious to the visiting photographers. Denise and Catherine and I had a ball on Tuesday morning creating tight face portraits of a single sleeping Roseate. And there are many other more transient photo opps for this species available to the observant photographer. 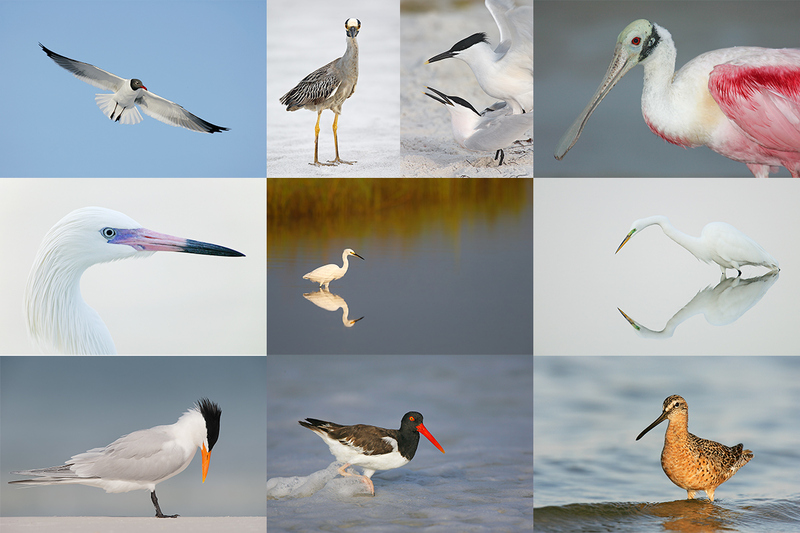 All in all, St. Augustine is now a Roseate Spoonbill photographic paradise. Why ISO 800 if the sun was out? Call the office, e-mail, or call my cell at 863-221-2372 for Late Registration Discount or Single Day info. Please leave a message if I do not answer. You are using flash, so you adjust the ISO to allow 1/250 sync speed. Very lovely shot. Thanks Art. Sort of. In shirt, I needed a relatively fast shutter speed so I raised the ISO. That bill shot is one of my all time favorites of yours! Fantastic!! Nice Artie! I will go out on a limb and say assuming the bird was preening itself and not sleeping, you used ISO 800 such that you could use a fast enough shutter speed to ensure you would freeze motion. Since it was early morning and you shot + a full stop and using f9 both of which lowers your shutter speed which may not have given you enough speed to freeze the preening motion. The bird’s bill is moving a bit so you needed 1/250 for motion and f9 for DOF and the only way to keep those two settings was to up the ISO to 800 ??? The ISO 800 was even marginal considering you had a 600mm lens with a 2x Extender. That makes for a really shallow dof for birds fairly close. You had to have f/9 to get enough dof. This drove your shutter speed down to a mere 1/250 which is quite slow for freezing any bird movement, not to mention for an equivalent 1200mm of lens, even on tripod. If ISO was any lower, you would have probably had motion blur of bill and any less aperture you wouldn’t have had the depth you need. ISO 800 to bring up the background ambient light and keep the flash as fill-only and not main light. Beautiful shot of the bill. Very nicely done. I guess ISO 8000 is a typo in the photo caption! That would be correct. Thanks. Why ISO 800?